The highly insulating Flexitog Classic Fleece-Lined Freezer Gloves FG605 are perfect for freezer applications, because they manage to combine comfort, dexterity and high-quality fleece-lined insulation. 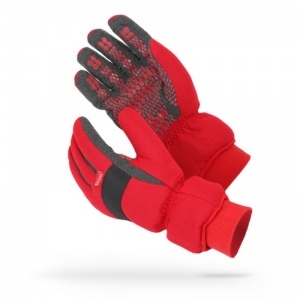 These qualities, along with their durable and strong ergonomic design, mean that the user stays protected and productive during long applications in cold, harsh working conditions. The Flexitog Classic Fleece-Lined Gloves FG605 are perfect for use in cold conditions as they provide warmth and comfort, while their tough liner ensures that the user is protected against mechanical risks. High dexterity means the user has total control when handling materials, while the ergonomic pre-curved design gives the user total comfort during extended use. The Flexitog Classic Fleece Lined Freezer Gloves are available in one size that should be suitable for most users because of the flexible nature of the design. To find your perfect pair, please measure the circumference of your palm and match the results to the table below.